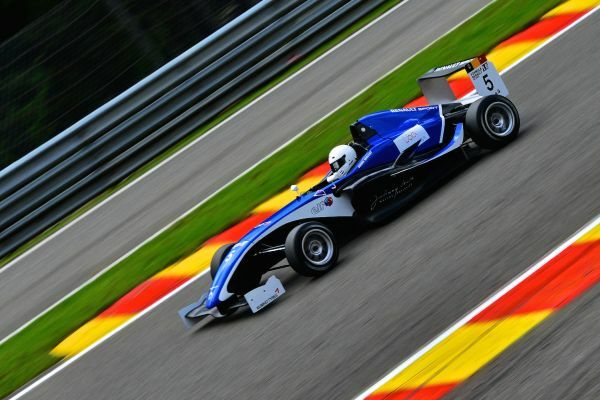 Once again the Formula Renault 1.6 NEC Junior will visit Spa-Francorchamps. On 3, 4 and 5 October the teams and drivers will be part of the Racing Festival. Two races are on the schedule, one on Saturday at 16.05 hrs and one on Sunday at 11.30 hrs. The man to beat is still Anton de Pasquale (Lechner Racing School) who leads the championship. The number three of the championship, Ralf Aron (Scuderia Nordica) is closing in on the number two, Janneau Esmeijer of Provily Racing. Both have stood on the highest step of the podium so it will be exciting times for them. The next three drivers Florian Janits, Ferdinand Habsburg and Max Defourny (all Lechner Racing School) are very close so it will be interesting to see who comes out on top. Of those three only Janits has won a race. The next four drivers Oliver Söderstrom (Scuderia Nordica), Larry ten Voorde (MB Motorsports), Cédric Piro (Piro Motorsports) and Boris Kolff (Provily Racing) are also very close. Unfortunately ten Voorde will not participate this weekend, so he will not gain any points. Then we find Pontus Fredericsson of Trackstar who is followed by the two drivers of Stuart Racing, Paul Sieljes and Marcel Lenerz, who have not been very lucky this season. They are followed by Simon Mirguet (Provily Racing), but like ten Voorde and Fredericsson, he will not be at Spa either. Nico Otto, who only joined the championship in Assen, closes the ranks in 15th place. The last weekend of the series will be at Zandvoort (NED) from the 17th till the 19th of October.